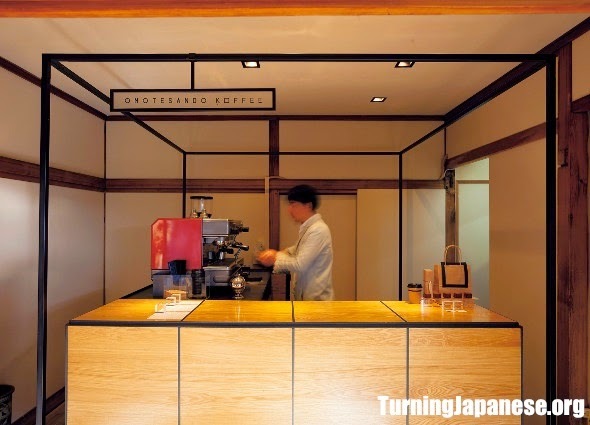 On a small backstreet near the posh part of Omotesando, there is an old house with a converted room where one man stands and makes the best coffee in Tokyo. The small see through sign just outside the entrance whispers its name, when in my view it should be shouted to the world. 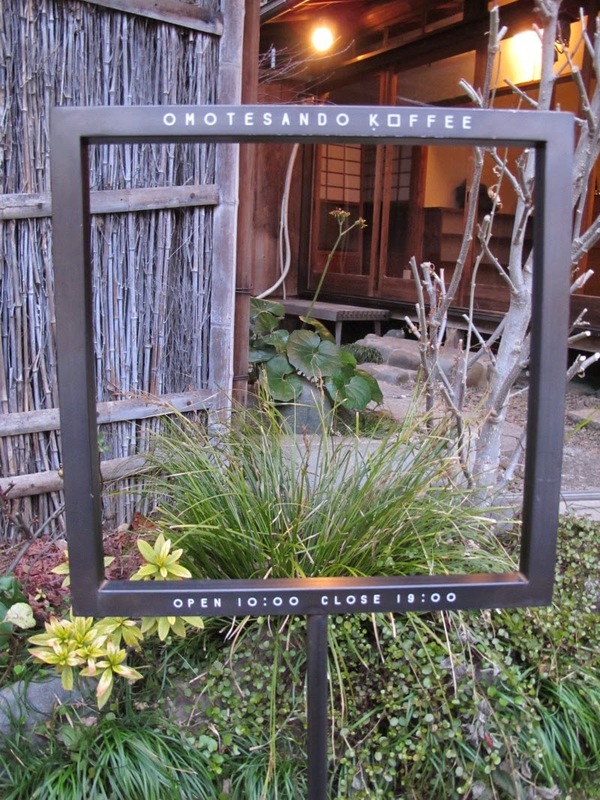 The charm of Omotesando Koffee cannot be understated - this cafe is a Tokyo highlight not to be missed - especially if you like coffee. 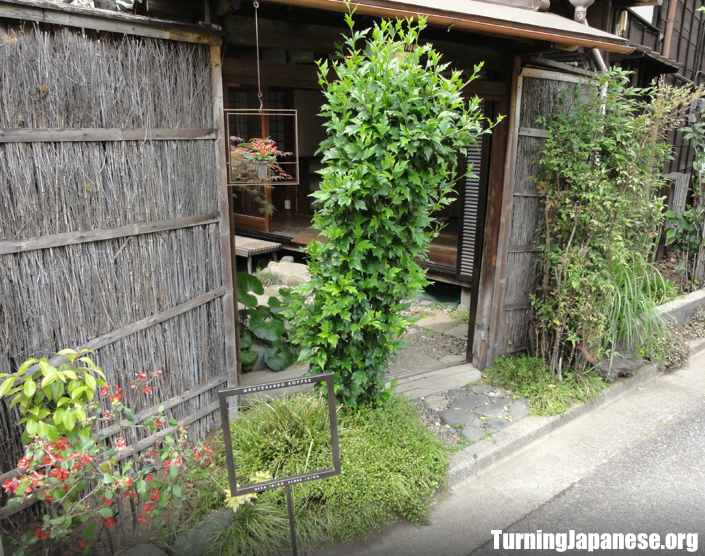 I still remember the first time I visited and the difficulties of finding it as I wandered around the alleys and laneways behind Omotesando Hills. There was a slight drizzle (not dissimilar to the coffee pour), which made the joy of recognising the sign, which was not really a sign at all, but merely a sign holder, even greater. I stepped into the small square courtyard, which was complete with manicured stones, rocks and pebbles (as if someone had specifically selected, cleaned and placed each one), and admired the cherry blossom tree, which could have easily been a plum blossom tree, I'm not sure. However I looked right and saw a man (or what I thought was a man) in a white labcoat standing completely motionless staring at a espresso machine. I took the two steps up into the cube like room. The white coated man still motionless, although I saw a doorway with a hanging curtain to my left and several bonsais to my right. I stepped towards the counter and almost robotically the man turned to face me and said "Irrashaimase" - Welcome. "One coffee please", I said in my most polite Japanese. "Hai" from him as he pointed to the minimalist menu. "Hai" he responded, before turning back to face his partner again, the espresso machine, as if I had somehow interrupted their time together. And given the way he then proceeded to delicately and lovingly make my coffee, I started to believe that I had. I have seen plenty of baristas in action before, but never one with this much attention to detail. Everything had a place, every action was necessary, every motion required. I wasn't just getting a coffee, I was watching a performance, a true artisan at work. But when ordering a coffee, who really cares if it is made by George Clooney in an academy award winning performance, or if Nicky Minaj is twerking and singing in the background, or if the Japanese barista was giving me the history of the Edo period through interpretative dance. Who cares about any of these things if the coffee tastes like dishwater. As the Bible says, "If I speak in the tongues of men and of angels, but have not love or the ability to make a good coffee, I am a noisy grouphead or a clanging pressure gauge. If I have prophetic powers, and understand all mysteries and all knowledge, and if I have all faith, so as to remove mountains of coffee beans, but have not love or the ability to make a good coffee, I am nothing." Well, in this case, he had love. Not only was the room in which the coffee was made incredibly beautiful in its minimalism, not only was the performance of the white coated labman exquisite, not only was there a perfect latte art pattern on the top of the milk froth, but the coffee was extraordinary. The taste of the coffee was anything but minimal, and finding this place was worth every lost step. The perfect accompaniment to the coffee was a flawlessly cubed baked custard, which was the only food item for sale - crunchy and caramelised on the outside, sweet custard on the inside. 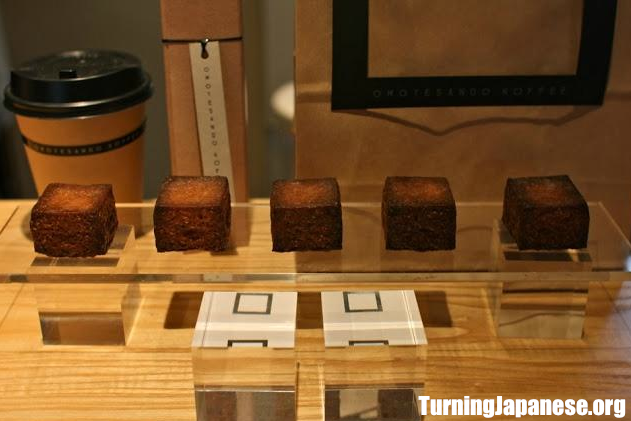 Do I recommend Omotesando Koffee to others? If it is not already obvoius, mochiron (of course). I cannot espresso how much I love this place. You should go there, if not for the coffee, at least for the experience. What does Irasshaimase (いらっしゃいませ) actually mean? What does Mamonaku mean in Japanese? What is the difference between wa and ga in Japanese?